You can find my previous posts in this series here. So, the challenge this time is to pick three items from your wardrobe and make them work. Right, I’m in! 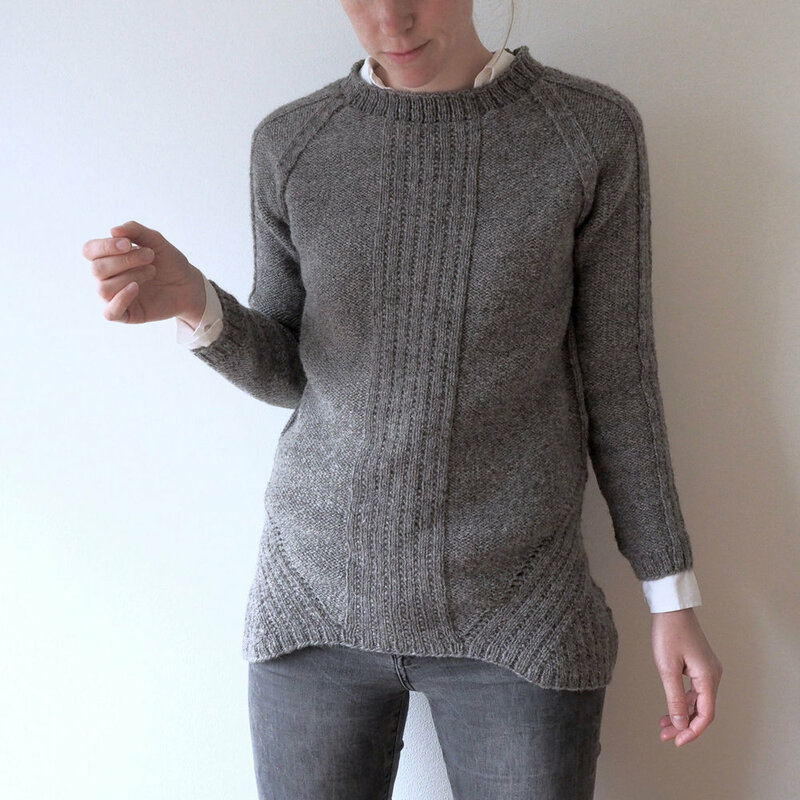 Pilling knitwear is actually ridiculously easy to fix if you have a little patience and a lint remover. In the photo above, I have gone over the right side of the cardigan but not the left. You want to make sure the garment lies flat. Then, simply run the lint remover over the pilling area. I use one of these things. 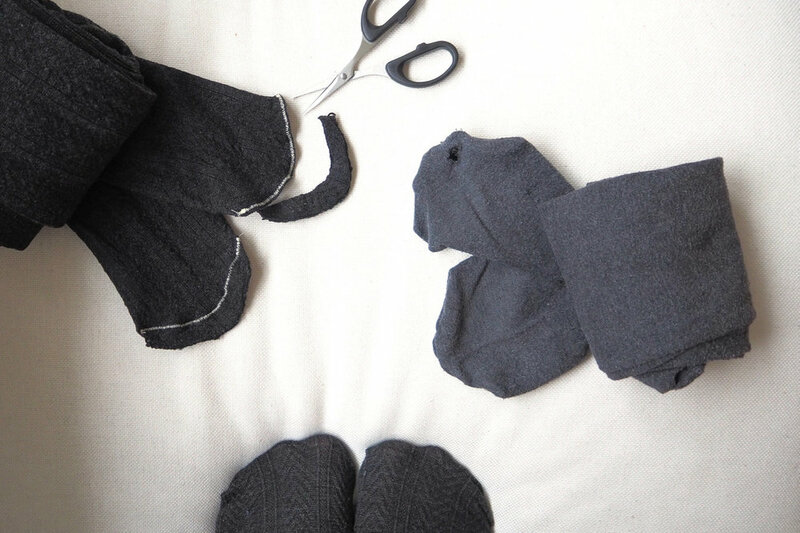 This is a quick and easy way to fix toe holes in tights – no darning required! It takes a little off the length, but I find that isn't a problem. With the tights turned inside out sew a seam a little further in from the hole, following the curve of the original seam. Use a zig-zag stitch with a short stitch length. It is also worth using a sewing machine needle for knits and reducing the pressure of the sewing machine foot. Then, cut off the end bit. 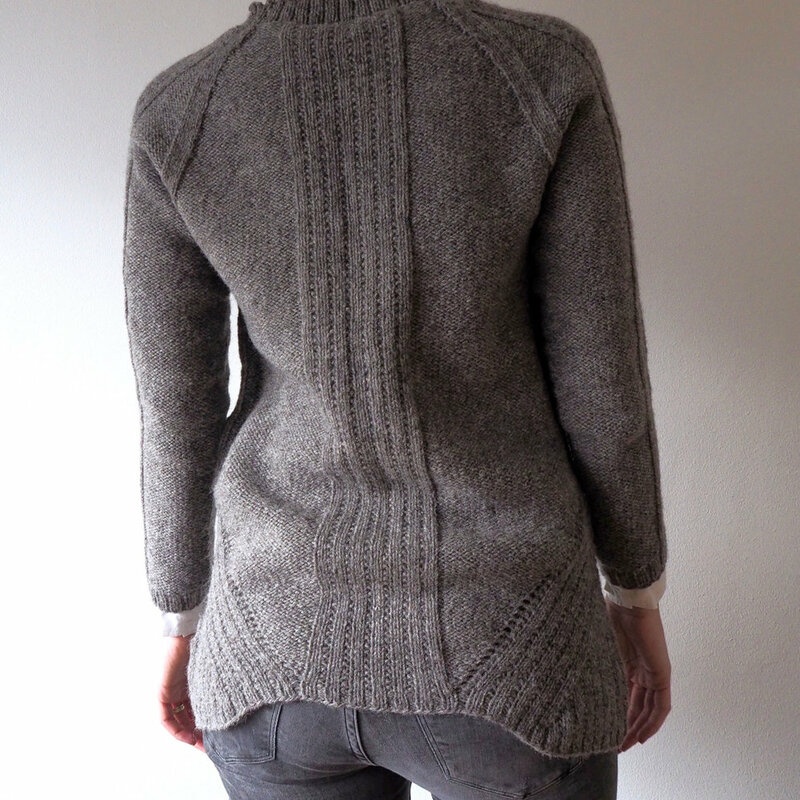 The pattern is the Imago pullover from Brooklyn Tweed’s Wool People 9, knit in Lofoten Wool’s 3-ply un-dyed Norwegian wool. I love the pattern. I love the wool. I don’t like the fit. It has been lying around for months, all done apart from a few loose ends that need weaving in. I had the feeling it was a little too tight around the hips – and it is. While it technically fits, it does not have enough ease around the hips to hang in the intended A-line shape. It catches on the clothes underneath and rides up in baggy curves at the back. Good thing I just had a practice run cutting into my knits and re-assembling the bottom part, because now I have to do that again. On a large scale this time. This jumper needs reshaping. It will take some time. It means doing the same thing over. It means admitting a mistake. But it also means not letting it get the better of me. I am a knitter, after all, I am used to slow-growing garments. Let the unravelling begin!